Hermes Ortega is out as secretary general of the Ministry of Social Development. Last January he submitted a proposal to modify Panama’s child support law, which was last changed in 2012. It would cut off child support payments by non-custodial parents in January and February when school is out, and at times when the children are visiting with the parent who does not have custody. On July 27 Minister of Social Development Alcibiades Vásquez fired Ortega specifically because of this proposal, which had languished in the legislative hopper until coming to the attention of the National Assembly’s Children, Women, Youth and Families Committee — now presided over by CD deputy Marilyn Vallarino — and of various women’s groups. Vásquez said that the proposal was made without consulting anyone, does not represent the Varela administration’s thinking and is not in the best interests of children. Varela’s Panameñista Party was founded by Dr. Arnulfo Arias, under whose administration Panamanian women — at least those not of races whose citizenship he revoked — got the rights to vote and hold public office. Arias’s widow, Mireya Moscoso, was the first and so far has been the only female Panamanian president. Vallarino led the legislative effort for the 2012 changes to strengthen enforcement of child support laws. The modifications eventually passed, but they were weakened in committee on first reading and on the assembly floor on second reading. Non-custodial parents who have been ordered by the family courts to pay child support — in most instances these are men — and who fail to pay the ordered child support can get 30 days in jail for it. Vallarino would have stripped child support deadbeats of their drivers’ licenses, but that provision was taken out of her proposal amid many protests from male colleagues from across the partisan spectrum. The 2012 changes also in certain cases look to grandparents to pay support. The 2012 modifications were originally proposed in 2011 by the Supreme Court, then presided over by magistrate Harley Mitchell. For the courts child support orders are not only a matter of respect for judicial institutions. Kids who grow up destitute often end up before the courts on criminal matters. 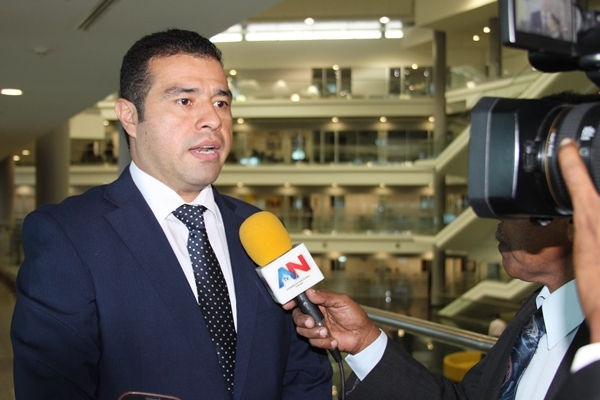 But despite the high court’s reasons, for the better part of a year legislative leaders of Vallarino’s Cambio Democratico party buried the proposal in the National Assembly’s agenda to keep it from coming up for votes in the body’s plenary sessions. But as male deputies in their various ways jeered and inserted amendments to weaken the original proposal, women’s groups weighed in and it became apparent to all astute political observers that defense of child support scofflaws is not a winning political platform in this country. Hermes Ortega apparently didn’t notice.